COLUMBUS HARBOR- WOW This home is CHARMING with a HUGE 40' swimming pool and BIG private fenced back yard! Open floor plan with high ceilings in the great room which wraps around the dining, nook and kitchen. Floor to ceiling stone fireplace with side french doors leads to the lanai and pool. Beautiful new wood flooring throughout this home with tile in the kitchen, nook & laundry. The pool and back yard are A+++. The 40' x 20' pool has a slide & diving board, paver deck and was recently resurfaced. THIS IS A REAL POOL! The BIG shady back yard has room for soccer games, play equipment and tons of privacy. There is a shed for your lawn equipment tucked off to the side freeing up your garage for the work bench and cabinetry. 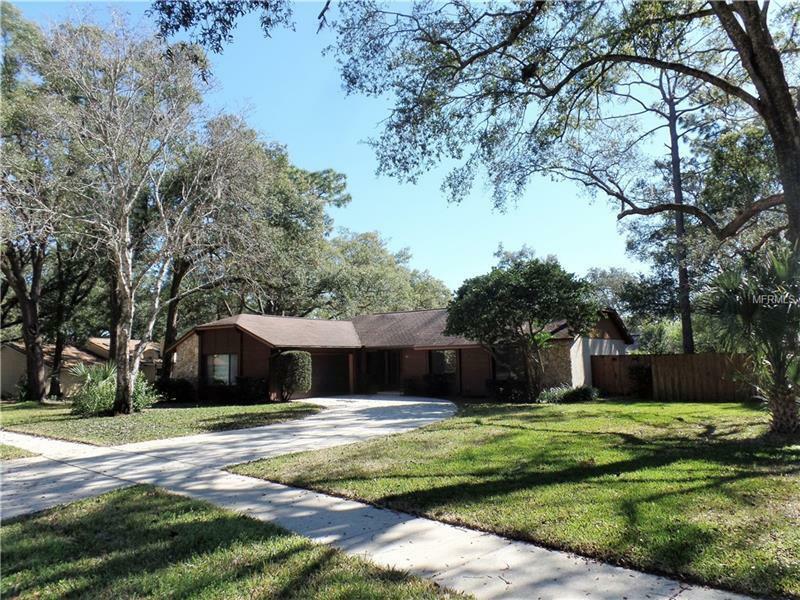 This lovely communtiy has a boat ramp on ski-able Lake Fairy and lighted tennis court. In addition to the new wood flooring this home has a new water heater, was recently re-plumbed, ceilings textured & new paint throughout. This much loved home is move in ready.